These may restore our faith in cupcakes forever. We have a love-hate relationship with cupcakes. They're adorable and delicious and just the right size, but they're also so overhyped and sometimes way over the top. 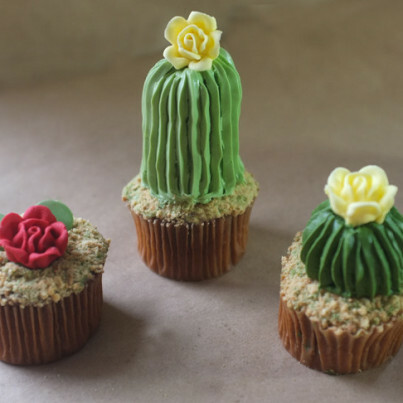 These cactus cupcakes from food blogger Alana Jones-Mann may have restored our faith in cupcakes for good. At the very least, they make us want to move to the desert. Jones-Mann offers a step-by-step tutorial for making these awesome cupcakes on her blog. You'll need a pastry bag and steady hands, fondant -- a pliable, icing-like substance -- icing dye, pre-made cupcakes, and graham crackers or Teddy Grahams®. Each "cactus" requires a slightly different technique. For the taller "cactus," Alana cut out a portion of an unfrosted cupcake, covered it with fondant and then iced it with frosting. 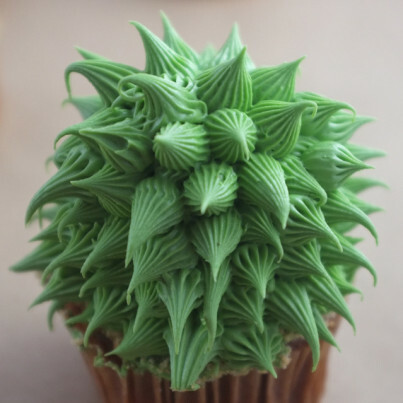 The spiky-looking "leafy plant" cupcake requires chilled icing and many short squeezes of the pastry bag. To make the succulent, you'll need to shape the petals first, either by hand or with a cookie cutter, and then place them onto the cupcake. 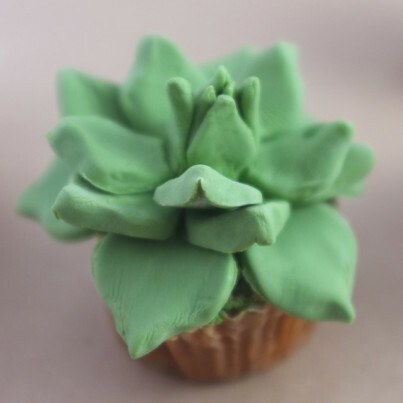 While you may think of yourself as a cupcake aficionado, if you haven't attempted cupcakes that look like cacti and houseplants yet, you may need to reconsider. 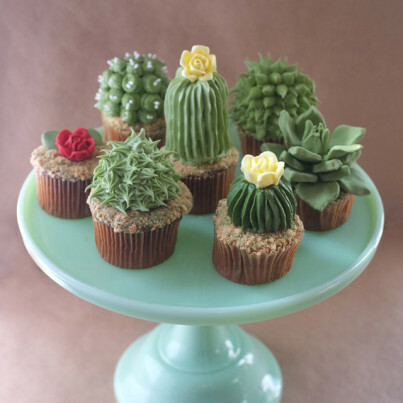 For further inspiration, check out food blog Pixel Whisk for some extraordinarily lifelike succulent cupcakes, and prepare to be wowed when you search Pinterest for "cactus cupcakes." Jones-Mann's cupcakes have totally won us over. For full instructions on making them, go to alanajonesmann.com.